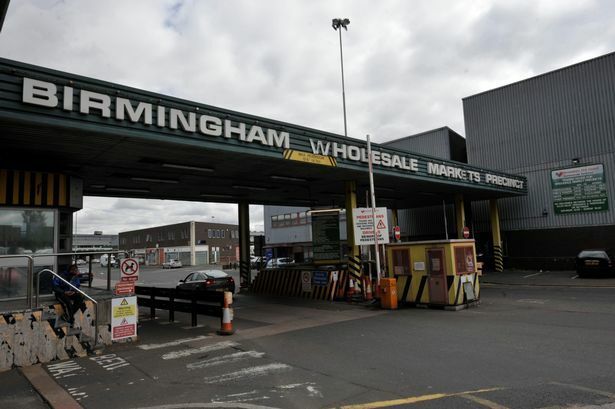 The regeneration of a vast tranche of the city centre has moved a step nearer after plans for the new Birmingham Wholesale Markets were submitted. IM Properties has revealed blueprints for a building covering more than five acres at The Hub, in Witton, to allow the council to relocate the markets out of town. The move will open the way for the £500 million Birmingham Smithfield regeneration on its old site as it is transformed into a new leisure quarter. Market traders criticised the council for failing to communicate the plans properly, however, business leaders said the scheme was vital to regenerating the city centre. The new Witton proposals will see a giant market shed created, along with sprinkler tents, a pump house and a 450-space car park. The facility will operate 24 hours a day but will not be open to the general public. IM said the development would result in multi-million pound investment and save up to 620 local jobs. The seven-hectare site was previously Birmingham&apos;s famous IMI factory but will now largely be given up to one giant building made up of 80 units. The Hub is one of six identified economic zones within Birmingham and is seen as supporting the growth of the food and drink sector. Jonathan Owen, a spokesman for the Bull Ring Indoor Market Tenants Association, said while traders at the Wholesale Markets accepted the need for change, they felt it could have been better dealt with. He said: "I think, from the point of view of the markets&apos; association, there has been an acceptance of the need for improvement in the city centre. That is not in dispute. "The problem is it is a very complex situation for the city council and the tenants&apos; association is not being treated in a fair way. "We have been attempting substantive conversations with the city council but there is nothing from them." The Post understands major investors from the UK and abroad have expressed an interest in funding the Birmingham Smithfield scheme. However, work cannot begin in earnest until the Wholesale Markets move is completed. Speaking earlier this year, Greater Birmingham and Solihull Local Enterprise Partnership (LEP) chairman Andy Street said the scheme was vital to the regeneration of the city centre. He said: "Birmingham Smithfield provides a new and exciting opportunity to secure investment for the city&apos;s gathering renaissance which will create new jobs and long-term economic growth. The site&apos;s status as part of the City Centre Enterprise Zone will bring added impetus. "The LEP is absolutely behind realising huge opportunities such as Birmingham Smithfield and over £40 million of enterprise zone funding has already been committed to supporting the delivery of these plans." The council launched its ten-year vision for Birmingham Smithfield in March. It wants the 34-acre site to encourage more families into the city centre, with plans for museums, cinemas, art galleries and music venues to be created on the run down area bordering the Bullring. The site will deliver more than one million sq ft of floorspace, 1,000 new homes and 3,000 new jobs, adding £470 million a year to the local economy and attracting millions more visitors to the region, according to the council.